In this groundbreaking book, a range of internationally renowned and emerging academics, writers, artists, curators, activists and filmmakers critically reflect on the ways in which visual culture has appropriated and developed new media across North Africa and the Middle East. Examining the opportunities presented by the real-time generation of new, relatively unregulated content online, Uncommon Grounds evaluates the prominent role that new media has come to play in artistic practices – and social movements – in the Arab world today. Analysing alternative forms of creating, broadcasting, publishing, distributing and consuming digital images, this book also enquires into a broader global concern: does new media offer a ‘democratisation’ of – and a productive engagement with – visual culture, or merely capitalise upon the effect of immediacy at the expense of depth? Featuring full-colour artists’ inserts, this is the first book to extensively explore the degree to which the grassroots popularity of Twitter and Facebook has been co-opted into mainstream media, institutional and curatorial characterisations of ‘revolution’ – and whether artists should be wary of perpetuating the rhetoric and spectacle surrounding political events. In the process, Uncommon Grounds reveals how contemporary art practices actively negotiate present-day notions of community-based activism, artistic agency and political engagement. 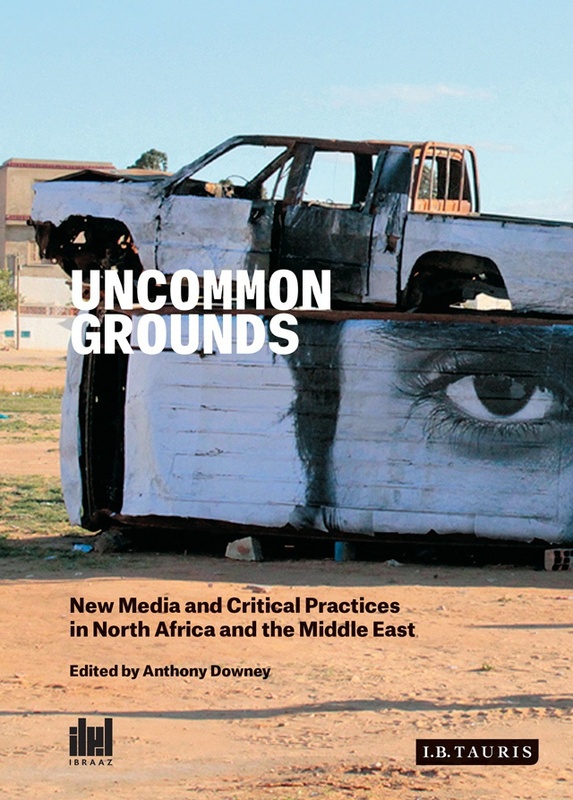 Uncommon Grounds: New Media and Critical Practices in North Africa and the Middle East is Volume 01 in Ibraaz’s Visual Culture in North Africa and the Middle East Series. Volume 02, Dissonant Archives: Contemporary Visual Culture and Contested Narratives in the Middle East, will be published in May 2015. Chapter authored: For the Common Good? Artistic Practices and Civil Society in Tunisia.